I am proud to be associated with the wonderful wonderful Aegean Film Festival and Story Lab. You love stories and you love film and you love the Greek Islands, right?! Treat yourself in all departments – and I look forward to seeing you there! 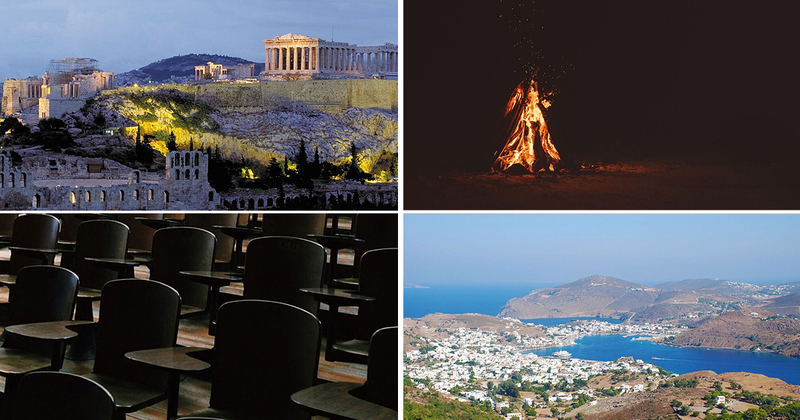 The Aegean Film Festival and Story Lab – Athens and Patmos Island. Click the picture to go to the website. “ Explore new approaches to discovering the stories quietly dwelling within you in a captivating environment in Greece. Develop the skills to cultivate budding ideas and to nurture sparks into flames. Immerse yourself in a collective process with experienced writer-consultants and emerge with your own, unique stories. Take part in the primal experience of bonfire storytelling on a beach on the borderland of Europe. Travel both in body and in spirit to the birthplace of Democracy and to the island of the Apocalypse. The 2018 Storytelling Workshop is organised by the Aegean Film Festival and takes place in two phases during a 12 day period in July: Phase one in Athens and phase two on the island of Patmos, in parallel with the 2018 Aegean Film Festival. The Festival itself is a celebration of global cinema in a profoundly Greek backdrop, the islands of the Aegean. The Workshop is designed to stimulate the work of scriptwriters and authors, directors and creative producers, employing experienced script consultants, in small groups of 10-15 participants, and using a process of collective dynamics and individualised focus. It uses video and narration as tools for the elaboration and evaluation of storytelling proposals, as well as various toolbox techniques. The Workshop facilitates the creative process by providing room and board, travel and Festival passes for a care-free experience, allowing participants to immerse themselves in the task at hand: idea generation and storytelling! The 2018 Storytelling Workshop is designed and operated in cooperation with the European film lab Le Group Ouest and the Aegean Film Lab. For more information please follow the link: https://www.aegeanff.com/storyworkshop/”.